In early 2000, the federal government required refiners to remove sulfur from the diesel fuel so refiners had to supply Ultra Low Sulfur Diesel (ULSD). 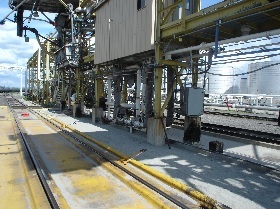 This refinery was remote, the only one in the area, and were required to supply the ULSD. They were working their way through the Project Life Cycle and had planned on building a new ULSD unit (~$250 million). Now, one of the advantages of the Project Life Cycle is it gives management an exit strategy. As you get to the end of a life cycle phase, you need management approval to go to the next phase. It is at this approval point that management have an exit strategy to kill a project if so desired. This life cycle exit strategy is one of the reasons you can go to a facility bone yard and find all kinds of new pieces of equipment in storage. At one time the project may have looked good, however something changed, the project got scrapped, and any equipment purchased is sent to the bone yard. Shopping in the bone yard is like going to a flea market, all kinds of neat, interesting things - but I digress. It was at one of these approval points that management said “Hold on a minute!” They didn’t want to spend that kind of money, but had to do something, so the refinery had to find another way. Upon further investigation they discovered there was a competing refinery across the road from their tank car unloading terminal by the ocean. This competing refinery was making ULSD for the market in that area. As well, there was an underground pipeline the unloading facility owned. The unloading terminal had a couple of railcar loading slots they didn’t use anymore. So the final approved project was to purchase ULSD from the competing refinery, tie the two underground pipelines together, pump ULSD to the unloading / loading rack at the ocean terminal, load it on to tank cars, ship it to the remote refinery, install a new tank car unloading system, transfer the ULSD to a existing tank, and sell ULSD over the truck rack. This project had a cost of ~$15 million. This project was going to be easy-peasy, until, the Owner came to us with those four dreaded words that all project managers hate to hear, “Oh, By The Way..........” In this case, the Oh, By The Way, was the spill collection system was undersized and they were not going to enlarge it right now. Apparently, the environmental people told the facility to prove that the spill collection system worked. So, they cleaned out a tank car, filled it with water (20,000 - 25,000 gallons), and dumped the water over the pans. Of course the system didn’t work, there was water everywhere. The cost estimate to replace the drainage system was ~$5 million and the refinery was not going to fix it right now, but planned on doing so in a few years. This meant that we had to design for the present conditions and the future conditions as well. What we did was calculate the flow the spill collection system would handle. This gave us a number to help determine how to control the flow out of the tank car bottom valve. We planned to install an unloading pump with a variable speed motor to cover the present and future flows. We decided the best way to control flow out of the tank car was to put an orifice plate between the outlet valve and the outlet connection. We talked to the railway company’s Roadmaster for the area and he didn’t mind if we modified the outlet with an orifice plate. We checked with the outlet ball valve manufacturer and ran into a problem. The outlet ball valves are a special design and on this particular ball valve the ball extended outside of the housing so an orifice plate would not fit in there. Knowing that you can not put anything on to a railcar unless it is approved by the Association of American Railroads (AAR), we came up with a design for a fitting with a built in orifice plate that could be bolted to the outlet valve (Figure 2). We made them out of stainless steel so they could be identified just by looking at them. This was a successful installation and the refinery were happy with what they got. The above is just a summary of what we went through to arrive at a workable solution. All your projects should follow the Project Life Cycle. Life is not constant and events happen to change things. You have to be prepared to review what you are doing and is it the right course of action. With the Project Life Cycle (approval gates) you have the opportunity to take advantage of these changes in events. This type of project is what makes project management so interesting and fun. As an aside, the fire protection system for this terminal in Figure 1 was a dry sprinkler system since they have the 30/30 winters (30 feet of snow & 30 below). I was told by the Operators that one winter the system fired off by accident. They ended up with several railcars, and the surrounding area, covered in ice which took them several weeks to clean up. I know it sounds funny, but I suppose not for the cleanup crew when working outside in -30 F weather. “I wish I had taken this workshop when I started my PM career”.